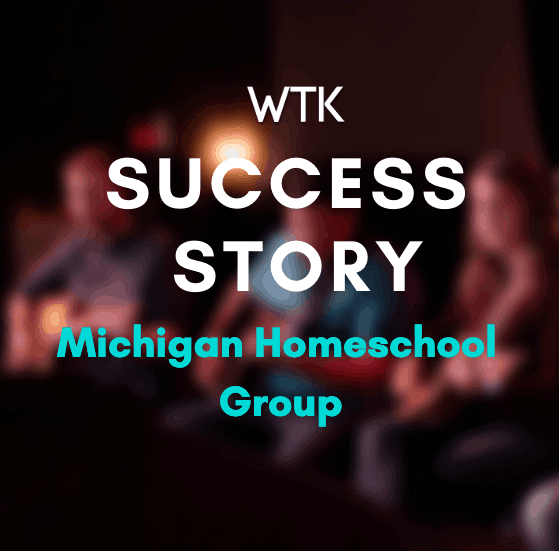 Their class met for 40 minutes each week in Michigan. Let by Carol Waldo, a homeschool mom. Carol had minimal experience when she took on this challenge of teaching the kids. She used my videos during class and the students used the worship guitar songbooks and method from my 8chords100songs program. Now, each class is playing and strumming and singing along with great worship songs. This video blessed me and I know it will bless you too! If you have a homeschool group and would like to add music and guitar classes, please contact me to let me know. I can help you along the way and offer discounts for bulk orders of my books and materials. On this video, the students are playing along with my play-along CD and it keeps them on track. It is easy to do once you learn the chords and patterns in my program. Are you enjoying the YouTube video lesson and WTK Blog? Help me continue and reach even more people with worship guitar lessons online by becoming a monthly WTK Supporter through Patreon. To say thank you, I have some special content, coupons and rewards for you! Could you donate to the WTK ministry? Click here to learn more! Jesus is the only rock star.